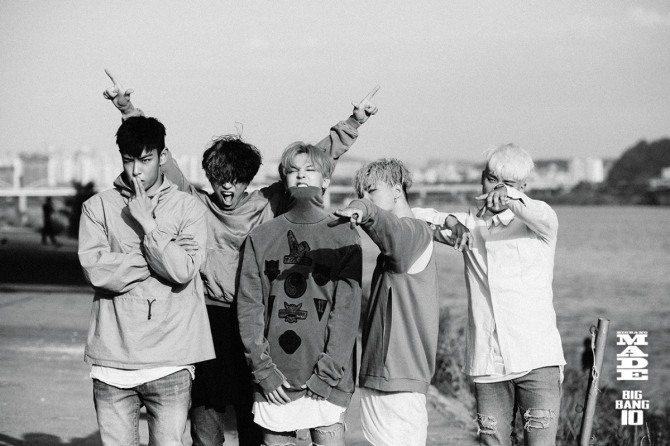 The documentary movie on K-pop group Big Bang has drawn some 120,000 viewers here and in Japan. “Big Bang Made,” which was released on June 30 in line with the group’s 10th anniversary this year, hit the 50,000-viewer mark on Thursday, a local news report said. In Japan, it has attracted 70,000 viewers. The movie will also be released in 10 other countries including Singapore and Thailand. “Big Bang Made” is a documentary movie that centers on the daily life of the K-pop group’s members as they perform in 32 cities across 13 countries as part of their 2015 World Tour. It shows a different side of the members, portraying them in their natural state. The Screen X versions of the movie also contributed to its popularity, as it allows moviegoers to have an immersive experience with screens on three sides of the theater. Other events in line with Big Bang’s 10th anniversary include an exhibition on the K-pop group from Aug. 5 to Oct. 30 in Seoul and a concert on Aug. 20.